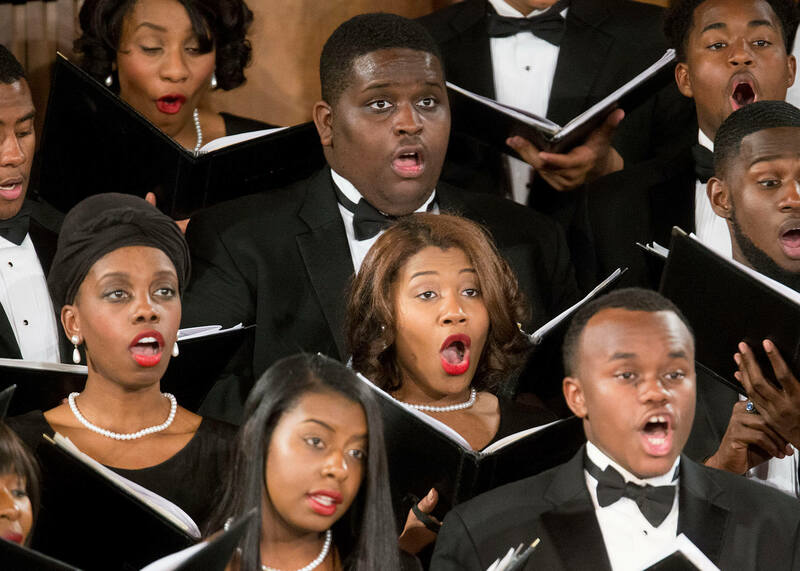 Attended by thousands from across metro Atlanta, the Morehouse and Spelman colleges’ glee clubs annually perform the Christmas Carol Concert. Always free and open to the public, favorites such as “We Are Christmas,” performed by Spelman Glee Club, and “Betelemehu,” performed by Morehouse Glee Club ring in the holidays together with a series of spirited musical performances filled with songs of the season. FRIDAY, NOV. 30, 2018 | 7:30 p.m.
SATURDAY, DEC. 1, 2018 | 7:30 p.m.
Once the Chapel fills, an overflow viewing location will be available. SUNDAY, DEC. 2, 2018 | 6 p.m.